Danny and I both adore cookbooks. We have too many of them — hundreds and hundreds — shelves of them in every room of the house. We can’t possibly cook out of all of these books. But we’re reluctant to give any away, since picking up a much-loved cookbook makes us feel at home. One look at a great cookbook inspires us to cook more. If you are interested in the books that inspire us the most, we’ve made an Amazon store full of them for you to peruse. Who knows? 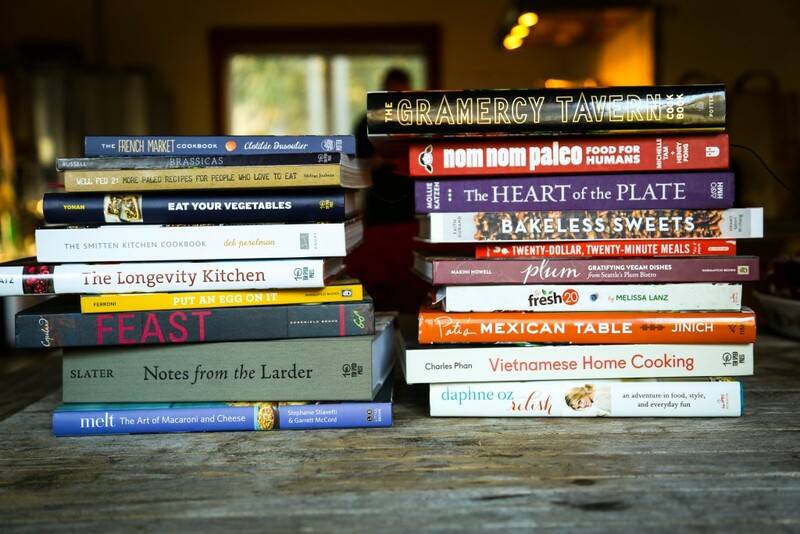 Maybe we’ll inspire you to have piles of new cookbooks in your home too. We’re part of the Amazon Associates program, which means we earn a small amount of money every time you click on a link we provide and purchase something on Amazon. That modest monthly check helps keep us in gluten-free flour and ingredients for recipe development.